And to be clear, we mean it. 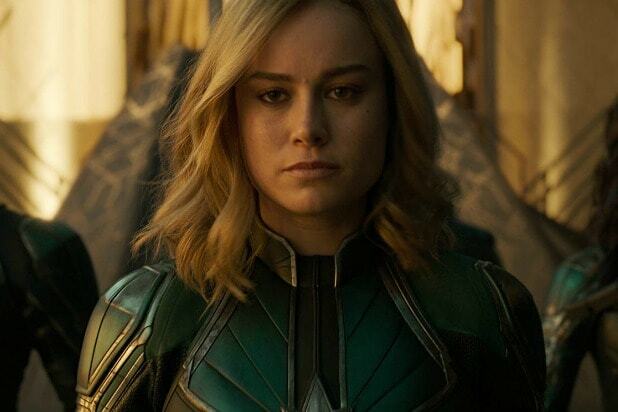 While the standard thing at this point is for each MCU movie to have two bonus bits — a tease for an upcoming MCU movie during the middle of the credits, and a funny little extra at the very end, the “Captain Marvel” mid-credits moment doesn’t just tease an upcoming film, it actually contains a scene from it. So let’s get to it. This scene in question is apparently the moment in “Endgame” in which some of the surviving Avengers — Captain America (Chris Evans), Black Widow (Scarlett Johansson), War Machine (Don Cheadle) and Bruce Banner (Mark Ruffalo) specifically — meet Carol Danvers for the first time. At the beginning of the scene, we see them staring at screens counting the casualties of that Thanos snap, with those numbers going up in realtime as they watch — meaning this all likely happens fairly soon after Thanos snapped his fingers. We quickly see that our heroes have retrieved Nick Fury’s pager and have plugged it into some kind of array to keep it fully powered and broadcasting, but they have no idea what its purpose is. The pager shuts off, an upsetting development since they know the thing is important even if they don’t know who it’s trying to contact. They start trying to figure out what’s wrong with it, someone even suggesting the reboot it and resend the signal when, out of nowhere, Carol appears in the room behind them. “Where’s Fury?” she asks the Avengers. It’ll be interesting to find out what exactly happened there. Did Carol just materialize out of thin air? Did she teleport in from someplace far away? Neither of those things are abilities she demonstrated she had in “Captain Marvel,” but 24 years is a long time to hone your abilities. So we’ll see.